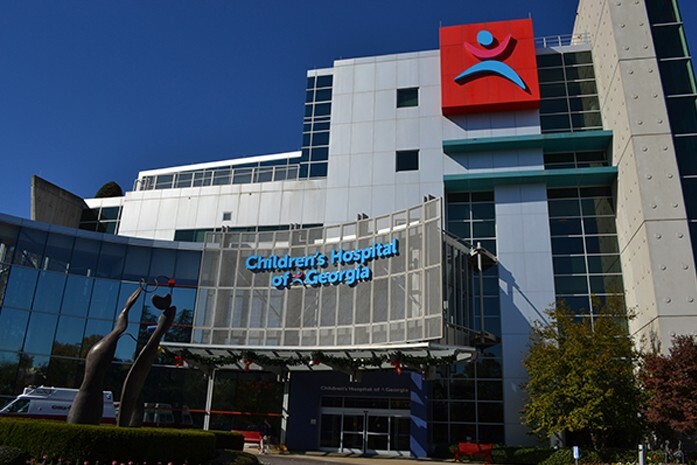 At our Augusta (Georgia) newsprint mill, you don’t have to look very far to find someone with a story to tell about the Children’s Hospital of Georgia. Cindy Pritchard, the operation’s human resources agent has been collecting these personal accounts through the years and says employees are always eager to share them. “Everyone has some connection to the Children’s Hospital,” she explains. And that focus has had an impact. Over the years, the amount given by cheque, through payroll deductions and, in recent years, through the Board of Directors Safety Award program (where operations can earn several thousand dollars to add to their annual donations for every 250,000 hours worked without a recordable injury) has grown considerably. To date, the employees and Resolute have donated over $584,000 to the Children’s Hospital. It’s quite a sum, and quite a history of giving – one that merits more than a passing mention. And the brass plaque in the Family Resource Library on the first floor will tell part of the story. It will let patients, families and staff know how important a hospital partner the team at Augusta has proven to be. Glen Hadden still works in the Augusta mill’s Maintenance department. Twenty-six years ago he came home after a four-to-twelve shift and was soon taking his six-year-old daughter Stephanie to the doctor’s office. He and his wife were worried about the strange red dots that covered her legs. After many tests, the Hadden family found themselves in a room full of doctors discussing treatment for Stephanie’s acute form of Leukemia. The Haddens came to know hospitals in the Children’s Miracle Network (which includes the Children’s Hospital of Georgia), from chemotherapy treatments through to a bone marrow transplant that involved her younger sister. Stephanie’s story is one of endurance and recovery. She’s now in her thirties, married, and lives in Nashville and has served as a cheque presenter for the campaign a few years ago. Hers is one of the many stories told each year as the Augusta mill ramps up its annual drive for employee contributions.